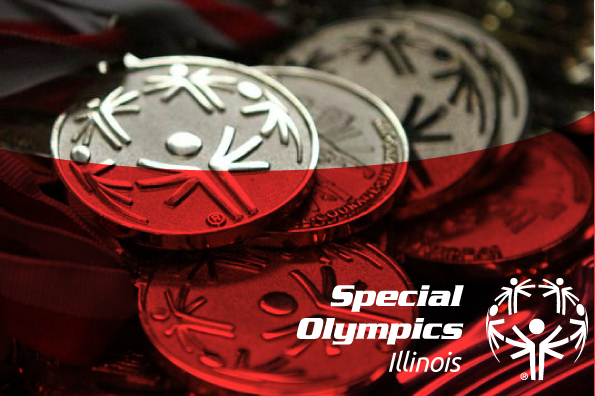 Special Olympics Illinois now has a Request for Accommodation Form for use when athletes want to modify uniform rules or requirements for religious or cultural beliefs. The form is also used when an athlete wants to request a sport accommodation that is not already outlined in the Creating Opportunities for Athletes with Physical Disabilities Section on page S2-26 of the Competition Policies & Procedures. Benjamin Abels has been named Data Entry Specialist based at the Normal office. He is responsible for general data entry and management. Abels had previously been employed at Heartland Community College in Normal as a text conversion technician, producing alternative materials for students with disabilities. He had also worked at State Farm Insurance as a sales representative and a customer call center representative. He has a bachelor’s degree in mathematics with a minor in economics from Illinois State University, Normal. Chris Winston has joined Special Olympics Illinois and will serve as the Chief Marketing Officer, based out of the Northern Office in Lombard. He will be responsible for providing leadership, direct oversight, management and vision necessary to ensure that Special Olympics Illinois is achieving marketing and communications targets. Previously, Winston was senior account executive for OUTFRONT Media in Chicago. Prior to his OUTFRONT Media position, he was a senior account executive for Van Wagner Outdoor in Chicago. Winston is no stranger to Special Olympics. He was Director of Marketing for Special Olympics Illinois from 2008-2011, then became Corporate Development Director at Special Olympics Inc. in Washington, D.C.
Winston graduated from the University of Iowa with a bachelor’s degree in economics. Special Olympics Illinois has formed a Golf Sports Management Team in order to enhance the golf venue at the Outdoor Sports Festival. After considering how to improve the flow of competition and allow for a high-quality competition experience, the Golf Sports Management Team has revamped the format for the Outdoor Sports Festival’s golf venue. 6-hole and 9-hole competition will begin with a shotgun start; 3-hole will be using tee times. 9-hole will be golfing in the morning on Saturday and Sunday and 3-hole and 6-hole will be golfing in the afternoon on Saturday. To keep up pace of play, all athletes will need to keep their clubs on their assigned cart at all times. Caddies will caddy off of the cart (driven by volunteer scorekeeper). Agencies providing caddies should register them in advance to help alleviate some of the congestion in the morning. Form is due by 9/5/16. Please click here for the caddy form. The form should be submitted by the athlete’s coach only. It has tentative schedule along with general changes to format. Additionally, this form will be available in the Outdoor Sports Festival Handbook and sent to coaches. If you have any questions about changes to the golf schedule, please contact Brianna Beers at 847-845-6481.